Enid was born on August 24, 1935, in Birmingham, Alabama to Ceclie Billips Meadows and Warner E. Meadows, Sr., and passed away September 10, 2018. Enid was a resident of Fort Lauderdale, Florida, Everglades City, Florida and Vineyard Haven, Martha’s Vineyard, Massachusetts. Enid was educated in the public schools of Birmingham, Alabama, including Washington Elementary School before graduating from A.H. Parker High School. She matriculated to Talladega College in Talladega, Alabama, but later transferred to Florida A&M University in Tallahassee, Florida, where she graduated with a Bachelor of Science degree in Nursing in 1959. 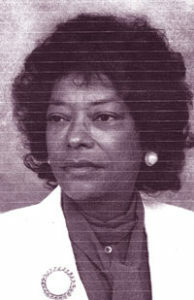 Enid passed the California Board of Nursing Exam and became a registered Nurse in Oakland, California. Enid had three sibling: Warner Earl Meadows, Jr deceased; Bettie Gene Meadows, deceased ;and Emma Lucille Meadows Malloy of Manhattan, New York. While attending FAMU, Enid met W. George Allen, and they were wed in Tallahassee on December 18, 1958. Enid and George had a blended family of four children: Reginald, who predeceased her, Timothy, Frederick and Amy Carole. Enid is survived by her husband W. George; sons: Timothy and Frederick(Brenda), daughter, Amy; sister, Erma Meadows Malloy; granddaughter, Cydney Carole; and a large extended family of cousins, nieces, nephews and friends. The family will hold a Celebration of Life at a later date. In lieu of flowers, please donate to the American Cancer Society in her name. Arrangements by Scurry Funeral & Cremation Services: Scurry Funeral & Cremation Services, 738 N.W. 22nd Road, Fort Lauderdale, Florida 33311 (954) 581-0140.